The elusive unicorn from medieval legend has been making a comeback. Once only found in enchanted forests, unicorns have been popping up in social media with shimmering unicorn-themed food and drinks. 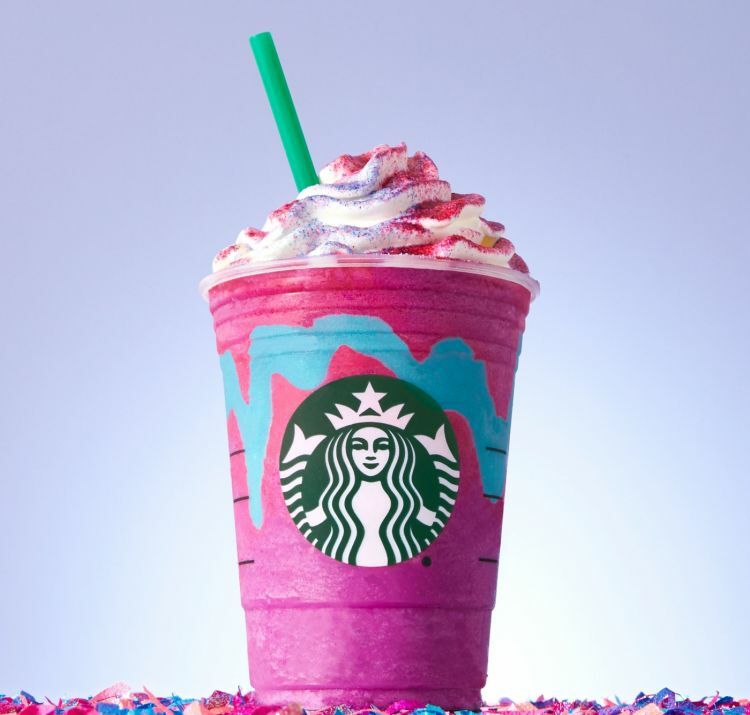 Now Starbucks is taking the trend to a new level with its first Unicorn Frappuccino blended beverage, available starting Wednesday, April 19, through Sunday, April 23, while supplies last. This limited-time offering is as fleeting as a rainbow, available April 19-23, while supplies last in participating Starbucks stores in the United States, Canada and Mexico. The most popular adult Halloween costumes of 2015 are expected to be U.S. presidential candidates, emojis and Star Wars characters. And the most popular beverage of the season may be a fang-tastic new Starbucks Frappuccino blended beverage. Starbucks launched its first Halloween Frappuccino in the United States and Canada with the green tea Franken Frappuccino in 2014. 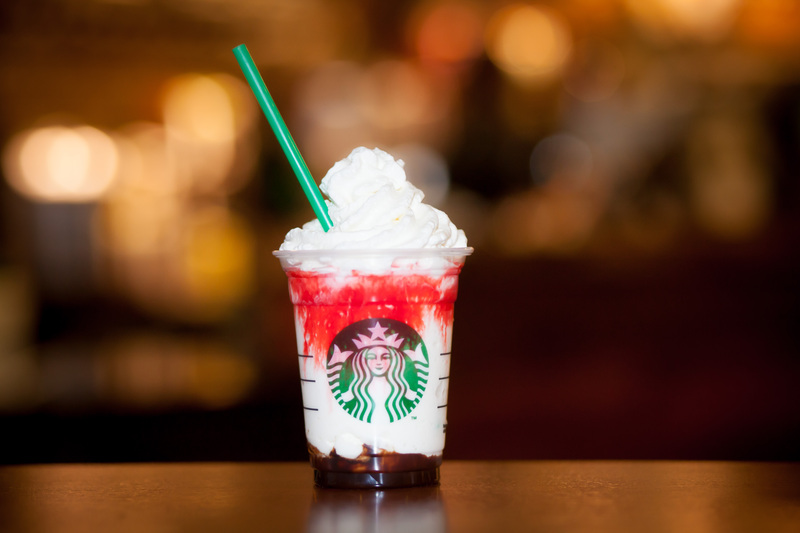 Now it’s going global with vampire-inspired Starbucks Frappuccino blended beverages for a limited time at the end of this month. Frappula Frappuccino blended beverage is made with white chocolate sauce, milk and ice blended together then layered between mocha sauce and a dollop of whipped cream. A drizzle of raspberry syrup oozes from the rim, which is finished with whipped cream on top. U.S. stores will offer the Frappuccino between October 28-31. 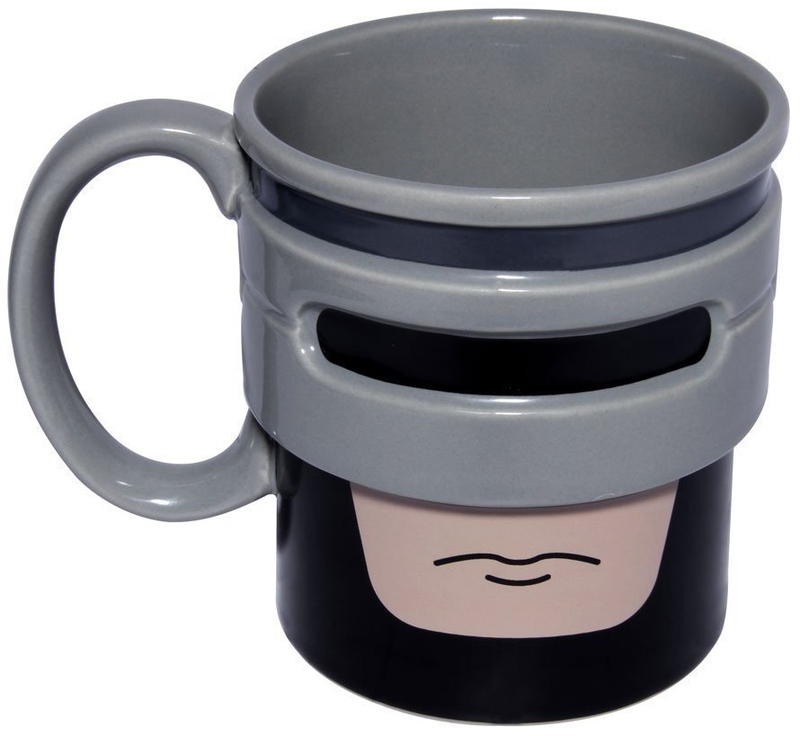 Don’t get on the wrong side of the law with this cup in your kitchen. Robocup makes a mean cup of tea but is not known to be lenient if you break the rules by putting the milk in first. This generously sized mug is a great gift for geeks or even one of your mates in the force. Measuring 9.5cm diameter x 10cm height, Robocup is dishwasher and microwave safe. The LA-based Hollywood cocktail bar The Powder Room set to open on November 22, 2013 is out to attract attention with milkshake bearing a $500 price tag. Created by award-winning mixologist Adrianne Biggs, the spiked shake, listed on the menu as “The Velvet Goldmine,” will contain premium liquors, rich Belgian chocolate and edible gold. A chunky Swarovksi “Nirvana Montana Ring” will top the frozen concoction as a garnish (retail: $190). Other shakes on the menu include the “Strawberry Fields,” a blend of strawberry cream vodka, fresh strawberry puree, brandy, shortcake cookies and tapioca pudding, as well as the “Steel Magnolia,” a vodka-based libation blended with red velvet cake, vodka-soaked cherries, crushed salted pretzels, cream cheese frosting and vanilla ice cream, topped with cream cheese whipped cream. 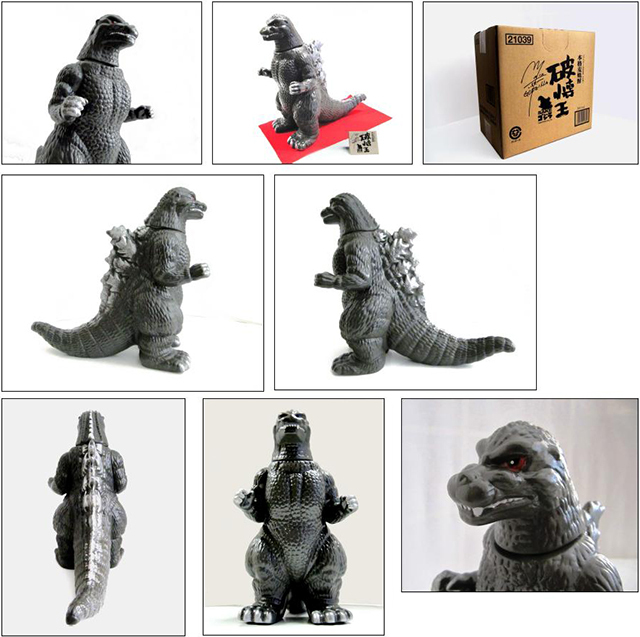 To commemorate the classic series of Godzilla films, Japanese artist Ito Shigeaki sculpted a sake bottle portraying a 1989 redesign of the movie monster (as seen in Godzilla vs. Biollante). 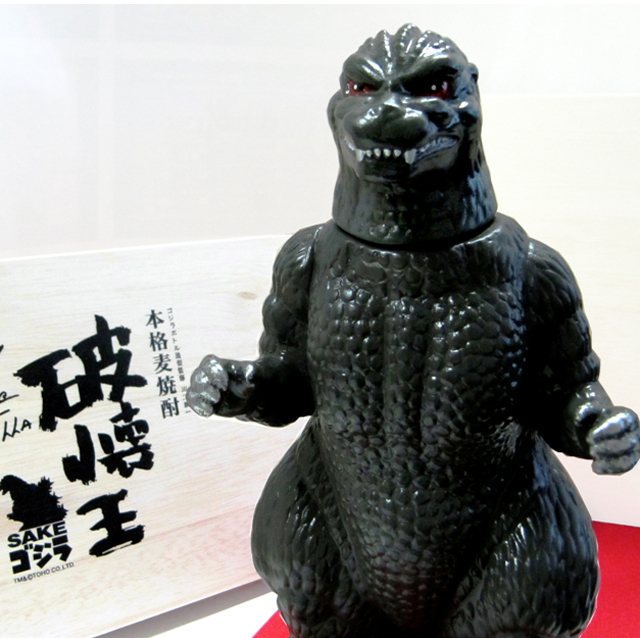 The limited edition of 3,000 bottles are available to purchase online from Choujugura for $110.